Personal identifiers are objects worn by people working with individuals with deafblindness to let them know who the person is working with. Identifiers are items worn regularly and are specific to the friend or support worker. Examples of personal identifiers can be rings, watches, bracelets, necklaces. Or, you may use something specific that you put on/take off while at school. 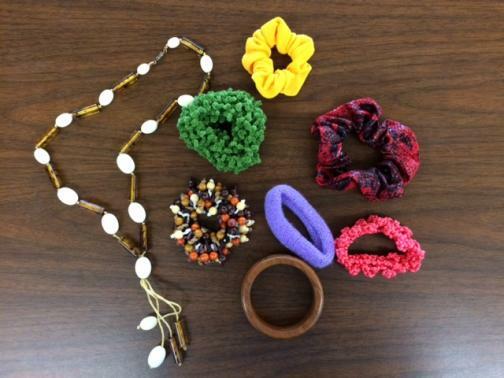 The following photo is an example of some personal identifiers used at a student's school.